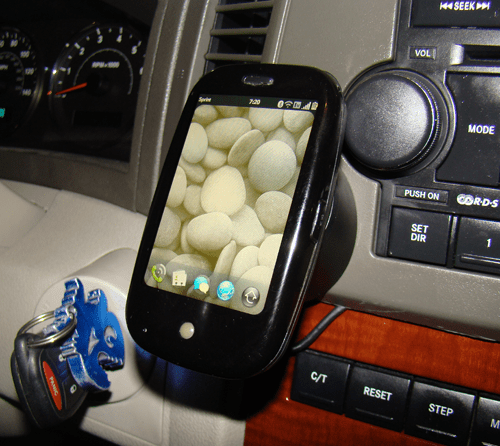 This has to be the coolest car mount for any mobile device out there. Originally designed for home use, maker remington870_20ga from the everythingpre.com forums wired a stock Palm Touchstone Charging Dock to run directly off his car battery using off-the-shelf components. Not only do you get an unencumbered view of the screen, your mobile device gets a chance to charge itself without all the messy cables.